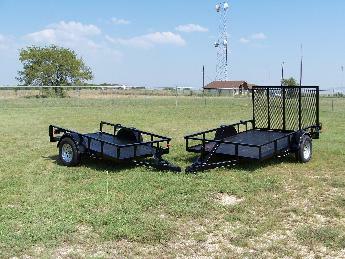 CenTex Trailers is proud to offer trailer's of superior quality. Trailers are built to order according to customers specifications, from 3500 lb. single axle to 7000 lb tandem axles, pipe or angle . We also build a variety of gooseneck trailers. Accessories include Ramps, Gates, different styles of hitches, just ask and we will see if we can get it. Contact your nearest dealer today to talk about pricing, delivery and availability. To Find your nearest dealer click here.